Tennessee Whiskey is simply phenomenal in this spectacular Cocktail. The Raspberry Chambord adds a beautiful roundness; the lemonade (depending on how much is added) creates the sweetness. The freshly squeezed lime creates a freshness and fruity twist. The combinations are superb. If you are not a fan of American whiskey, less can be added to give just a hint of whiskey. 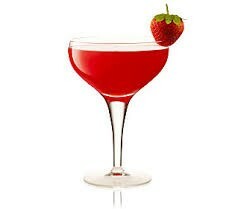 It is a colourful, vibrant as well as distinctive Cocktail. The measurements given are from the original Cocktail recipe. For many, it is one Cocktail where 'experimenting' or creating it just right for your taste is needed. The origins of the Velvet Elvis are unknown. One can almost say it was not created in the deep south nor by Elvis. However the flavours are very deep south, lay back and cry out for you to sing "The Wonder of You". Tennessee whiskey is a Straight Bourbon and can only be called Tennessee whiskey if it is created in Tennessee as stated under American Federal law. Currently there are only two major players or companies distilling Tennessee Whiskey - Jack Daniels (owned by Brown-Forman) and George Dickel (owned by the Diageo empire). There are a number of smaller companies in Tennessee that produce purely for local consumption and do not export in a big way, such as Collier & McKeel, Benjamin Pritchard and others.